My Lilac Bush has been quite popular to various forms of nature the past week so i thought I'd share a few of them and celebrate Spring as well. 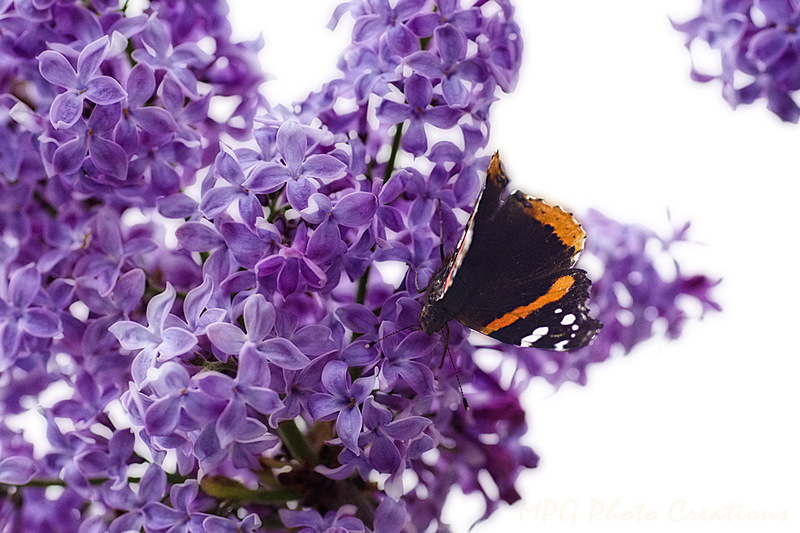 I captured my first Red Admiral Butterfly of the year this past week enjoying the Lilac blooms. It was shot against a very cloudy sky which explains the white background.